Abbasi & Associates is now the corporate counsel for two renewable energy and technology firms whose goals are to make every home and business environmentally friendly and efficiently managed. These days, more than ever, insurance companies try to use complex insurance language to avoid paying rightful claims. Attorney Mahan Matthew Abbasi, founder of Abbasi & Associates, recently announced the business law firm is now the corporate counsel for Sun-Time Energy and for Via Solar Corporation. These innovative companies manage solar power system designs and installations to ensure energy efficiency across California. In addition to becoming corporate counsel for Sun-Time Energy and Via Solar, Abbasi & Associates recently started a new division for insurance claims for homeowners, small businesses and property owners. 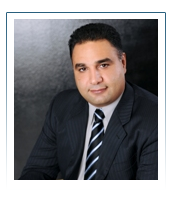 Abbasi has a successful background in analyzing insurance policies and insurance defense. Mahan Matthew Abbasi is a member of the Los Angeles Association; member of the Beverly Hills Bar Association and member of its International Law Committee; member of the Central District Consumer Bankruptcy Attorney Association; member of the American Bankruptcy Institute; and a panel attorney for the Los Angeles Bar Association, LegalZoom.com, and Legal Club of America for bankruptcy, real estate law, and litigation. Abbasi & Associates is a boutique firm where business litigation, real estate litigation and bankruptcy are the cornerstones of the firm’s practice. For more information, please call (310) 358-9341. The law office is located at 8889 West Olympic Blvd., Suite 240, Beverly Hills, CA 90211.